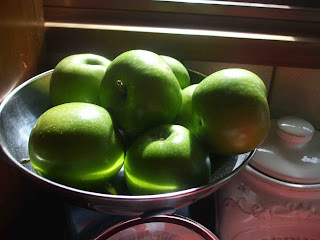 It is apple season here in Tasmania and I have just been given a 10kg bag of Granny Smith Apples. I use apples a lot in cooking and am not one for waste so this morning we all pitched in and used my apple machine to peel and core them and then they were stewed and frozen. We picked up young Thomas early this morning so he of course helped the 2 girls and Pa with Grandma's fancy machine. 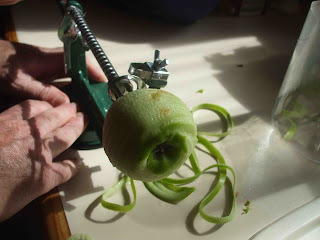 My little machine peels and cores the apple just by the turn of the handle. I have to say that I just love it. Our hens, pet rabbit and worm farm all get the skins and cores. The house smelt divine with all of the cooking. 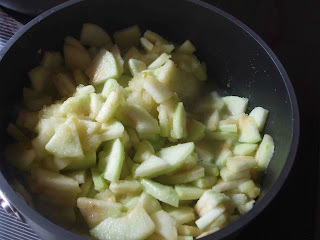 I have kept out some apples to do a little cooking with this afternoon. I think that Little Apple Cakes will definetely be on the list of "to do's". Whilst Thomas had his afternoon nap today I seperated out our carrot seedlings. It is the first time that I have grown carrots from seed and realise now that I should have mixed the seed with sand and sewn directly in rows into the garden instead of raising the seeds in pots and transplanting. They were just way too hard to seperate and I have so many of them !! I think I am going to need to buy another freezer if our vegetable and fruit continues to be so productive. Tonight I am going to continue some handstitching on my "Spring Swap" gift ready to be posted to it's new home next week. I hope that you have all had a fantastic Saturday - The sun here is glorious and quite warm for an autumn day. I am also going to the Autumn Gathering in May. 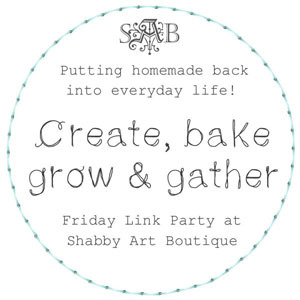 Look forward to seeing you there, its going to be so much fun, can't wait. Oh great your coming to the gathering I'll see you there too you wont forget the apple crumble will you! Can you just send me some apple crumble ? Please ? 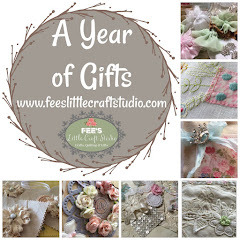 Sounds like you had the perfect day, family, cooking and gardening with a little stitching tossed in. I'm sure your house smelled heavenly with so many apples! Thank you so much for commenting on my post yesterday. I always enjoy meeting new friends. Hope you have a wonderful weekend. 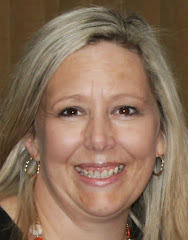 Thanks for joining my blog Fiona! It's lovely to meet you. 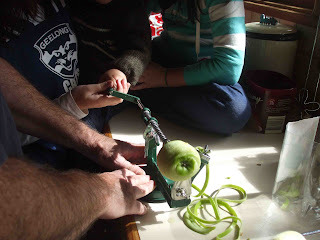 Your apple peeler looks fantastic - what an amazing kitchen gadget! Thanks for following me fiona. I have an apple peeler, corer, slicer exactly the same as yours! I got it for my birthday from my son (2 years old) and he loves it! I was given it because I got a dehydrator from my mum - great for kids snacks. Another option for you for when the freezer gets full! I will have to remember to use it for stewing as well - hadn't even thought of that because I got it for the drier. Love that apple doo-dad. I think I might need one myself. Your apple machine looks fantastic, I have never seen one before! I can see how the children would love peeling with it. Sounds like a productive day. My grandma had one of those apple peelers and she could make quite a few pies on a day! Happy belated birthday to you too!